For a long time now, I’ve been a keen subscriber to a weekly science podcast called Skeptoid. A recent episode, The Fallibility of Memory, caught my attention, and I really wanted to share it with you today. The episode discusses the tricks that our memory can play on us, and also discusses how memory is actually understood to work. Although it’s a broad-ranging discussion, I thought it may be helpful – or at least interesting – to have a greater understanding of what your brain is doing, or likely to be doing, when you’re cramming for a test. Or trying to learn new facts for a game show appearance, or indeed doing any type of studying. Recognition — When you scan the options in a multiple-choice exam and trigger a memory of what the right answer would be, that’s an example of recognition. That last one also qualifies as an actual game show training tip, in my opinion! The podcast is well worth a listen, (it runs just under 12 minutes) or if you’d prefer to read the transcript, it’s here. 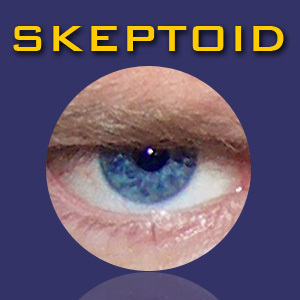 I’m a subscriber to Skeptoid, and often find it fascinating. When I heard this episode, I thought it may have some bearing on www.howtowingameshows.com. So I hope you’ve found it helpful. And even if you haven’t, I’d highly recommend a weekly dose of the Skeptoid podcast, just to learn more about some of the most interesting (well, they are to me, at least!) topics in the world. That’s all for today – short and sweet. See you next week! This entry was posted in Brain Training, Updates by Stephen. Bookmark the permalink.